Giveaway: Win a Set of the New Dove Hair Damage Therapy Range! January is post party season and with people looking to get back in shape they also need to get back to looking after the locks they abused over the festive period. Dyes, straightening and over-styling has most likely caused a lot of damage so these new Dove products are perfect to get hair back looking beautiful! Dove understands that hair damage is a fact of life – you aren’t going to stop doing it, and they don’t want you to! The new Dove Hair Damage Therapy range has been specifically formulated with this in mind, providing exceptional damage repair to meet every type of hair need and contains patented Micro Moisture Serum technology for superior surface care. When caring for surface hair isn’t enough, Dove has developed patented Fibre Active technology for unrivalled internal hair repair and incorporated this into a selection of the new Damage Therapy products, to leave hair stronger and healthier than ever. The patented Micro Moisture Serum technology works in conjunction with the Fibre Actives to restore and replenish hair from the inside out. Rather than just masking the damage as some products can do, the Fibre Actives actually penetrate into the hair’s fibre to repair, protect and condition at the deepest level, while the Micro Moisture Serum technology works to nourish the surface of the hair, from root to tip. 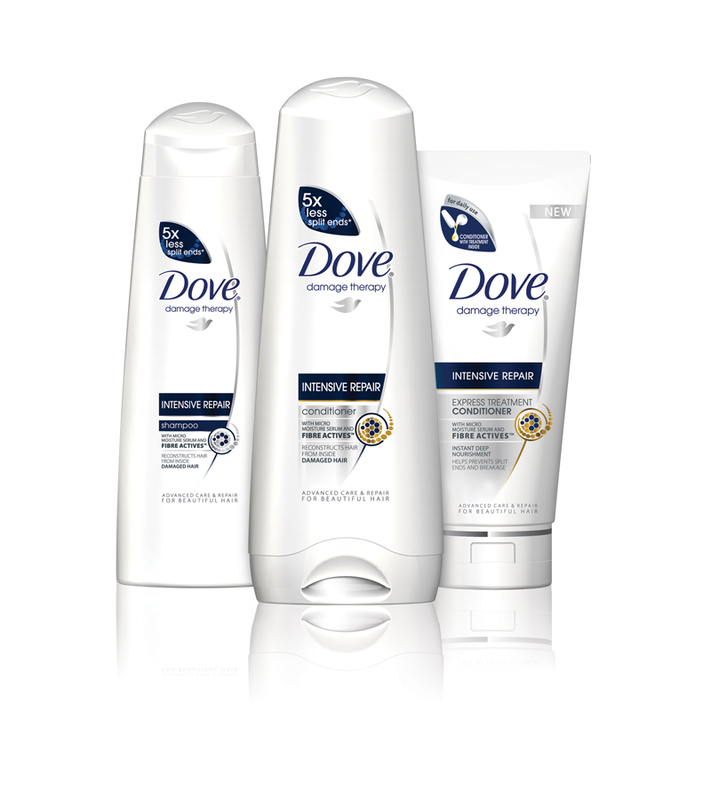 We have five sets of the new Dove Hair Damage Therapy Range to giveaway to our readers! 2. Write a comment below saying 'enter me'! ENTER ME PLEASE AND AM FOLLOWING YOU ON TWITTER AND HAVE TWEETED IT. Enter me please :) It's a great Giveaway! Please enter me! I just tweeted and I'm following you on Twitter and Google Friend Connect. Nice program! Anyway good luck to those who will enter. Dove really makes its name. I could do with some serious hair therapy, but thank you for the suggestion anyway because even if I don't win, I may have to try it! Can you enter me please. I follow you on GFC as Jude. I follow you on twitter as @jadlgw and I have RT'd. Enter me :D I follow via GFC as SkellyBones.